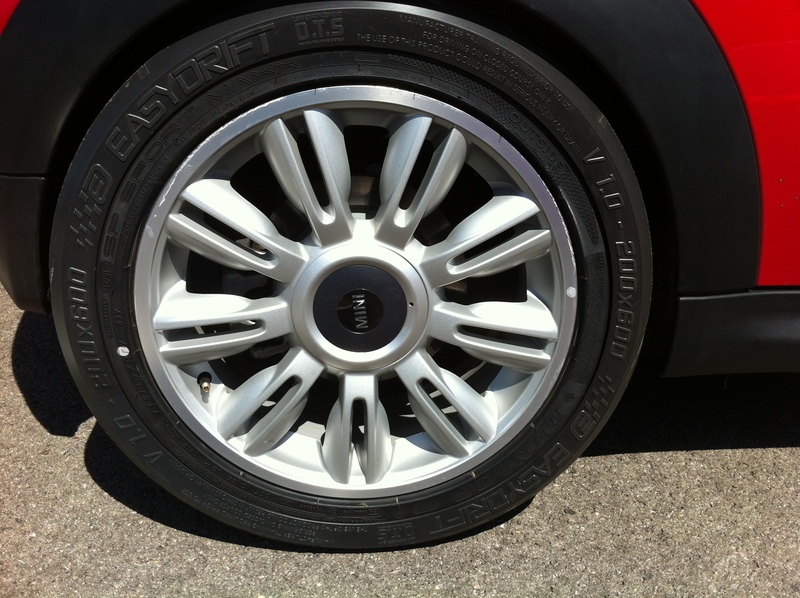 The sun rose hitting our MINI Badges and there was a smell of burning rubber from last night. The Fast Five left the hotel leaving and headed forth to the airport to pick up Nicole – Christine’s niece from the airport. Back on the Toll roads which was great fun with the smooth asphalt and the booths to stop at then race off at full throttle, they never got boring. Having picked up Nicole we headed into the horizon with our little wavy UK flag on our aerials. 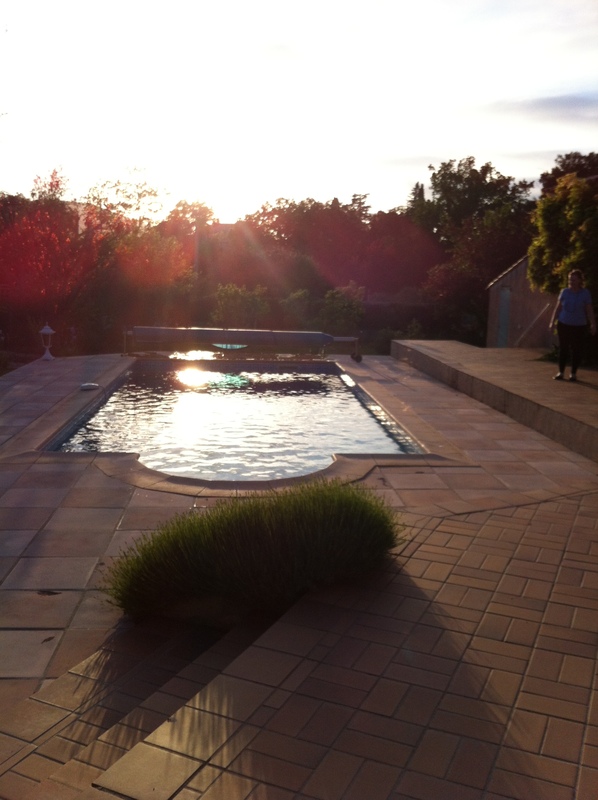 The destination was the Villa which would be our home for the next 4 days which was located only a 5 minutes away from MINI UNITED at the Paul Ricard Circuit. We got off the toll roads and hit the back roads for the nice scenic drive but more importantly for some French cuisine. We stumbled on this small French restaurant which its pebbled and stone car park. 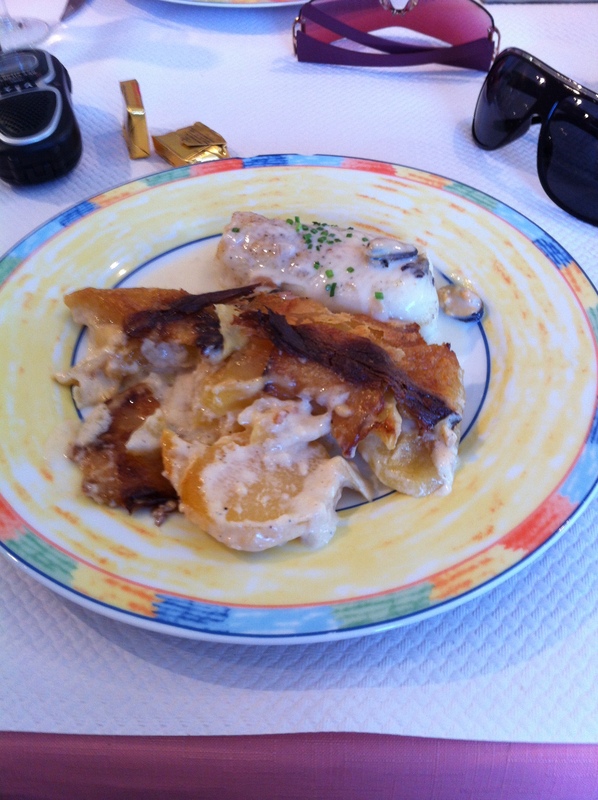 I was sceptical about the food with me being all picky and i didn’t think French food would be that good. God how wrong i was about it all. I had a beautiful three course meal starting with a simple salad & some fresh baguette slices. The main was grilled fish with a white sauce and French gratin potatoes and a chocolate moose for desert. All fuelled we headed to Villa passing some beautiful scenery along the river the flowed across this little town we passed threw. The Villa stayed in was fantastic with 6 bedrooms, fine furnishing, swimming pool, BBQ and plenty of space to park all of our MINIs behind a motorised gate. 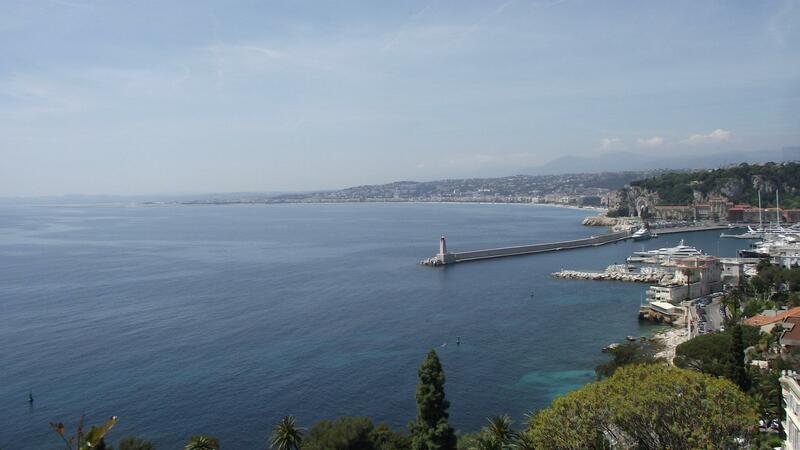 The next MINI Adventure was to head to Nice airport to pick up my friend Tom from China (close university friend of mine) then reach our the glamorous destination of Monaco. 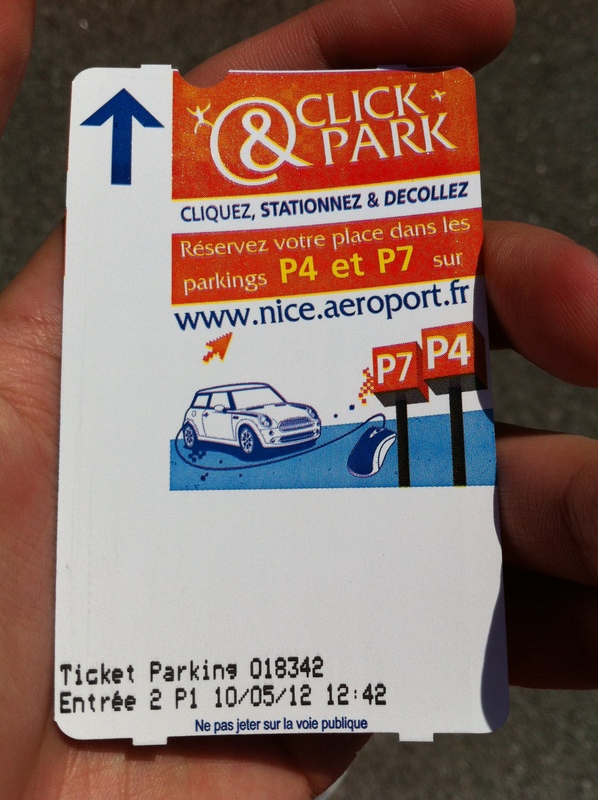 Having pick up at Nice Airport we headed to Monaco along the coast with 32 degrees heat with clear blue skies and clear water. 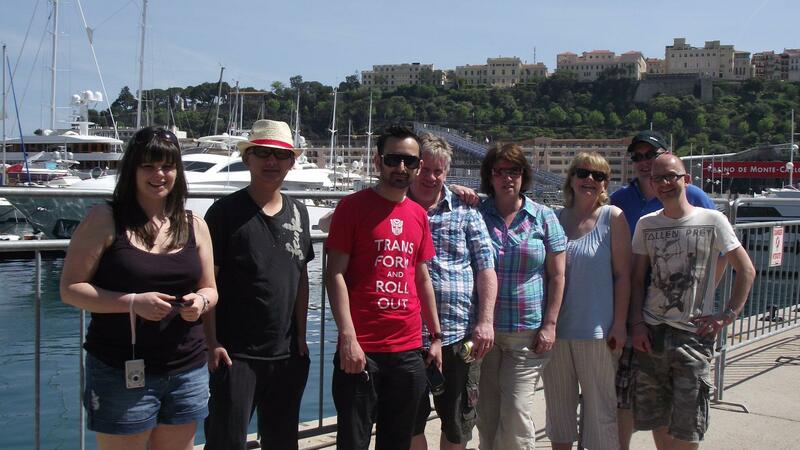 We headed up the hills to Monaco and stares insued as we headed into Monaco in a convoy. We all eyed up the casino with Ferraris, Rolls Royce, Bentleys all lined up outside. 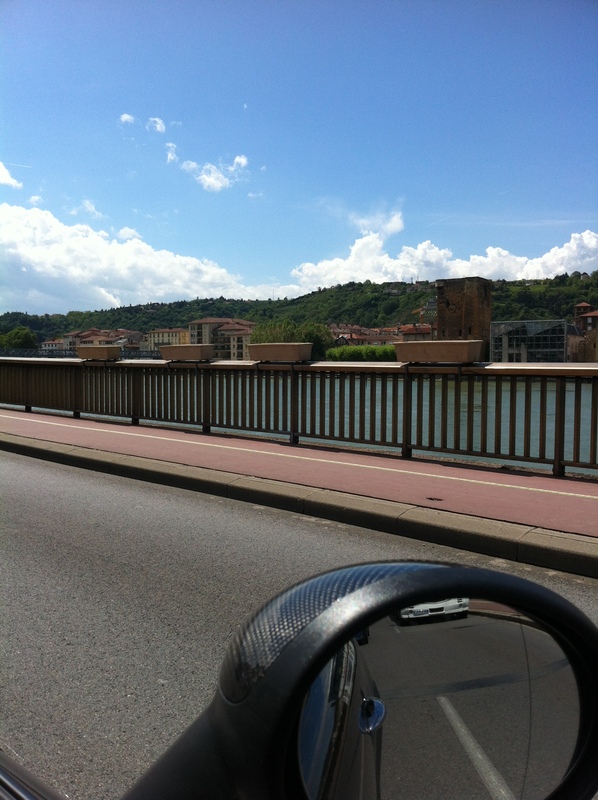 We had a better location to head to being the Infamous Monaco tunnel. We all entered the tunnel with Garry’s WC50 aka The Green Monster leading the pack. We all gunned it down the tunnel only for Garry to get pulled over by a waiting officer with his hand out with a speed gun. 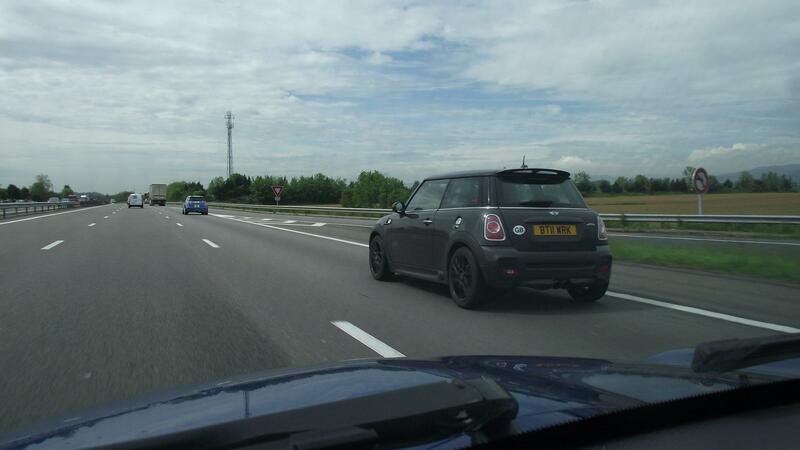 We feared the worst as France has very strict laws on speeding with hefty on the spot fine. 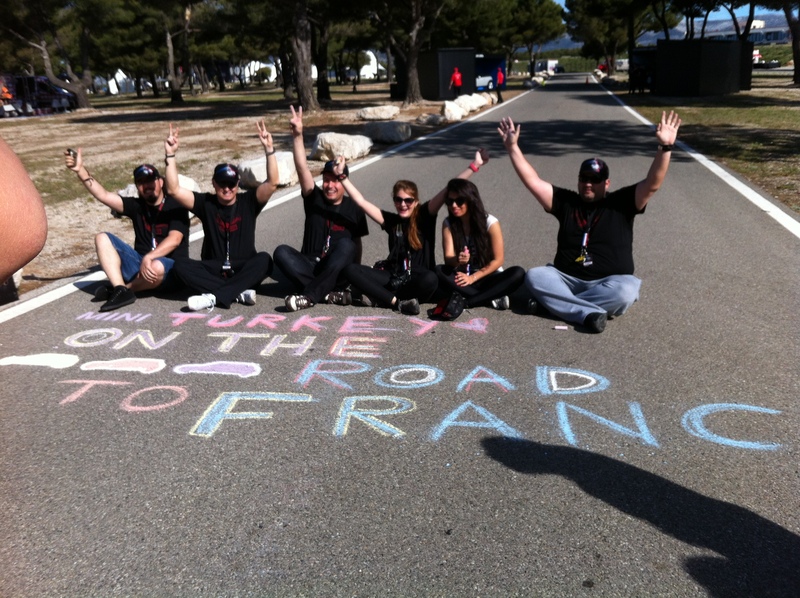 We heard over radios that the fine 2250 Euros over the radio thinking that everyone would have to chip in for the fine. 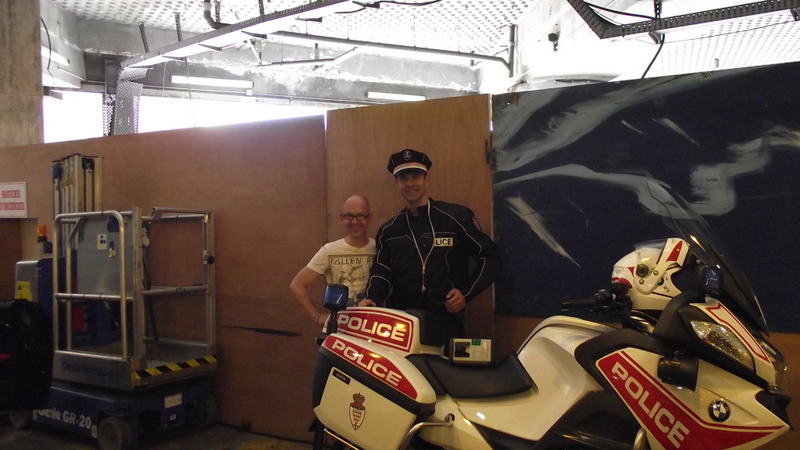 To our amazement it was only 22.50 Euros plus Garry got a cheeky snap with officer who caught him. 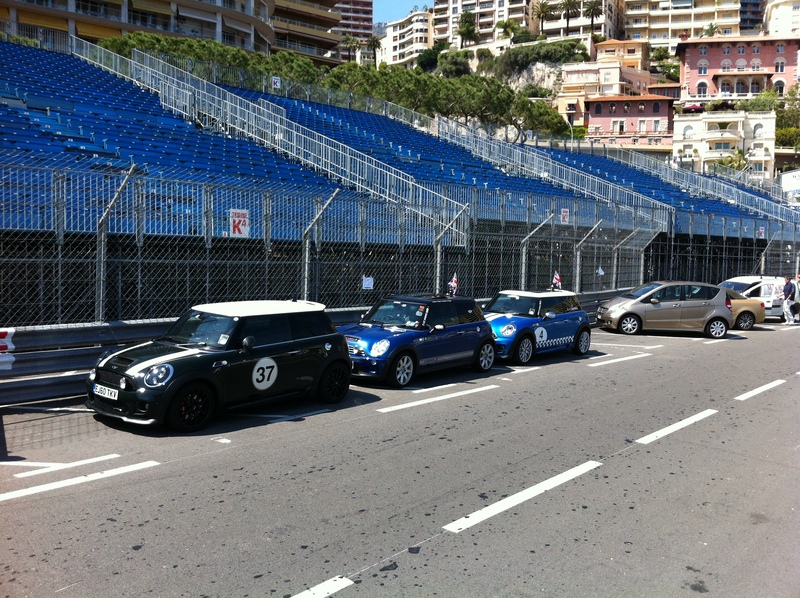 We parked our MINIs up along the Monaco grand Prix circuit to nose around and take some piccies. 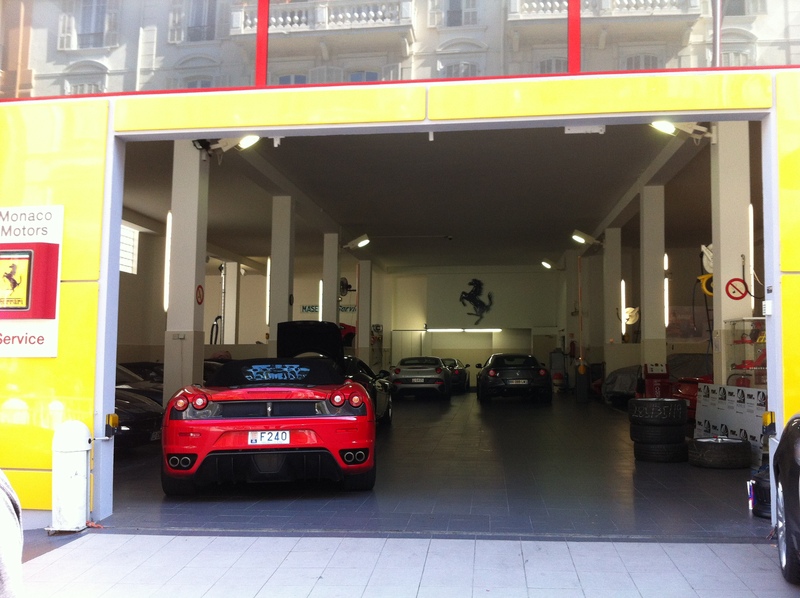 We adventured around Monaco looking for somewhere to eat but we stumbled upon a Ferrari Dealership. 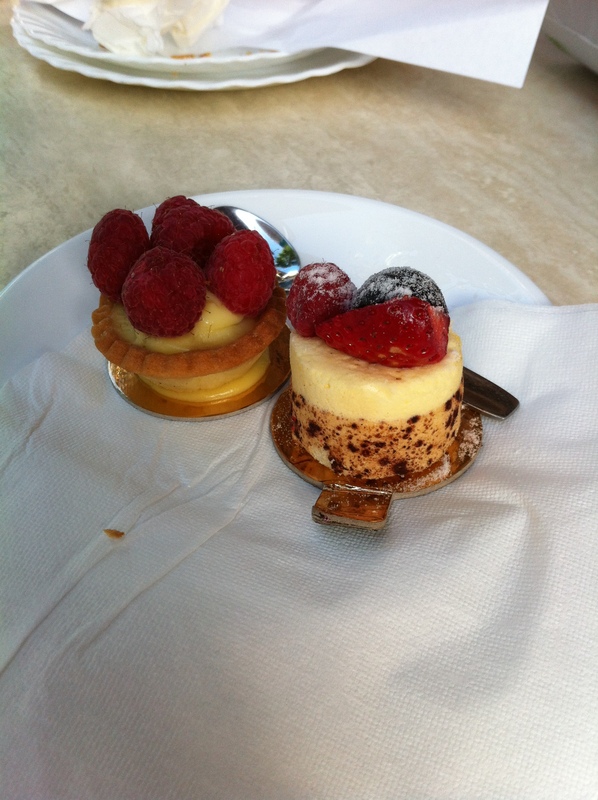 We set next the circuit having our lunch with these little tinnie tiny deserts which were to die for. We managed to drive all the way around the whole circuit but we tried to do some shots at the starting grind but we couldn’t do the traffic. So I decided to leave my own mark there by leaving some 11s on the starting grid. 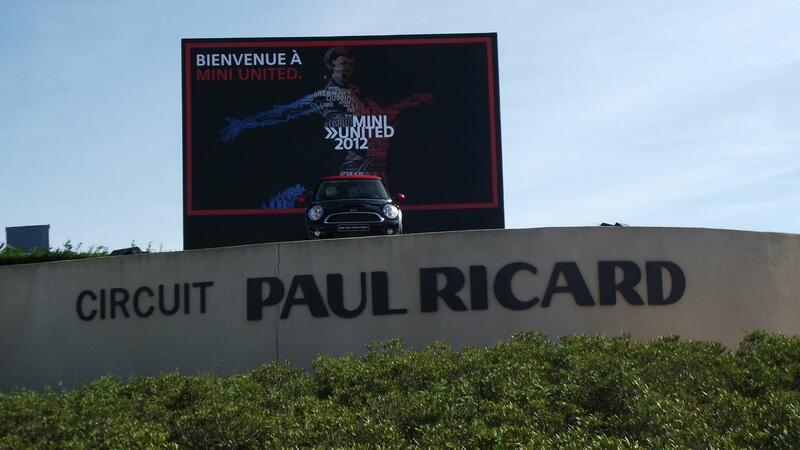 The day had dawned and it was the 1st Day of MINI UNITED!!!! So got up early and washed the car with the arsenal full of cleaning products and pressure washer and snowfoam lance from Phil’s Clubman. 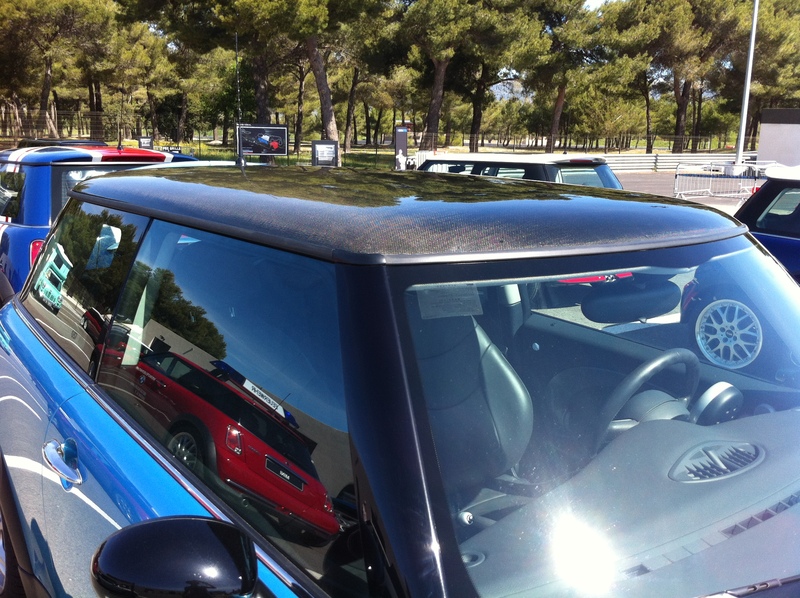 All cleaned and polished we head up the hills to the Paul Ricard Circuit seeing MINIs from all places of the global waving and honking their horns. Forgot what it was liked to receive a MINI Wave off another owner but then again i will always shout MINI!!!! when I see another MINI. We all rolled up on the circuit and parked up on the grass and walked to the Check In Hanger where we received your free MINI UNITED 2012 Lanyards, bottle of water and wrist bands. We then had to walk the long way around into what was called the Blue Zone. 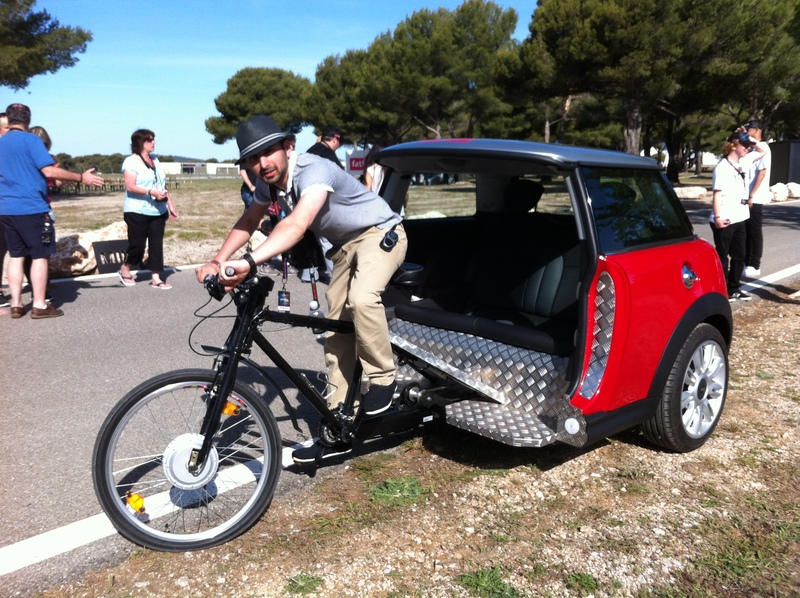 There was this AWESOME MINI Rickshaw it was a Cooper S with 17 Inch rims and full leather seats. It was actually quite little to roll about in as i took for a flying lap on the pavement and the turning circle is good as well only downside its powered by what you eat in the morning. There was HUGE Concert stage and 3 White tents which a food court, bar, internet cafe, MINI Accessories & Parts shop, MINI Show room ranging from the Cooper to JCW Roadster. This is where I met Stefan from MINI Belgium who was the manager of the parts department where i probably left a mark with him with my wit and legendary blagging skills. While i was at the MINI shops i brought the MINI Flap Clock, Some Tees, Carbon Fibre Handbrake, Alcantara gaiter for the handbrake and JCW Side Stripes. 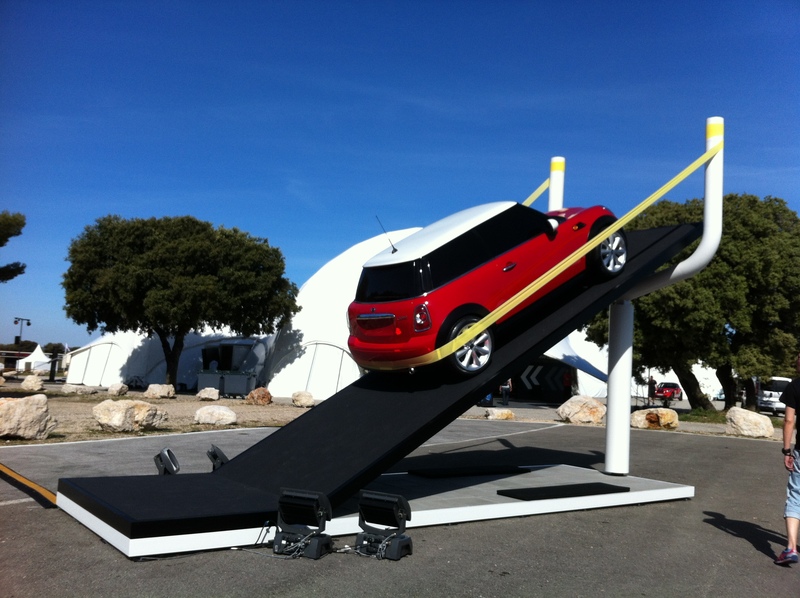 We jumped at the chance to go into MINI that were DRIFTING!!!!! 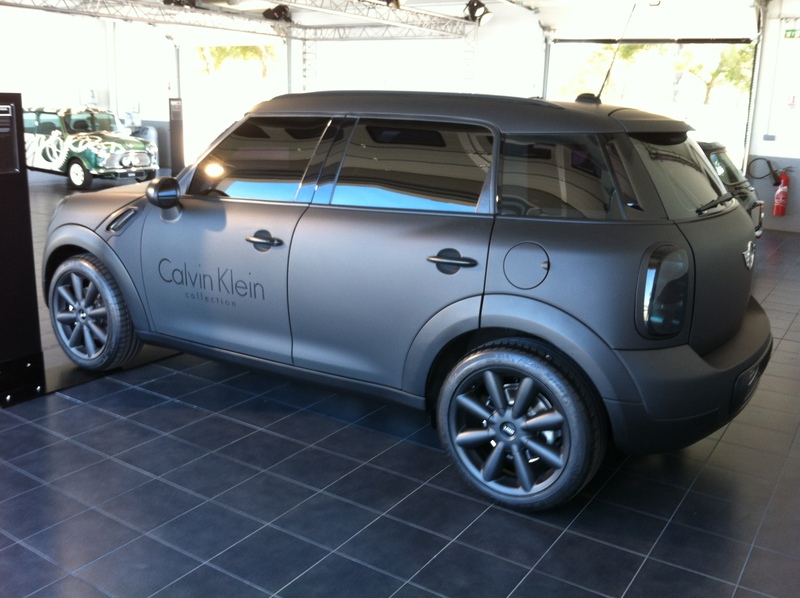 We then had a good nose around looking at the MINI Collection ranging from R53 Carbon Fibre Roof Cooper S to Calvin Klein Countryman. This wasn’t even for me so i booked ‘Race Your MINI’ – what i call no holds barred racing where RallyAli comes out to which Garry wanted to see plus secretly he wanted to sit in my Recaros. At the end of this madness my new tyres were tourched with serious scrubbing on the side walls and i must have worn off at least 2mm off a new set of tyres which my dad brought me as a going away present. We got wait for it ……………………………………13MPG!!!! After all the mischief in the pool and nom nomin some good food. The Lads got ready for the 1st night of the Concert with Gossip, Iggy & The Stooges and Martin Solveig headling the nite. 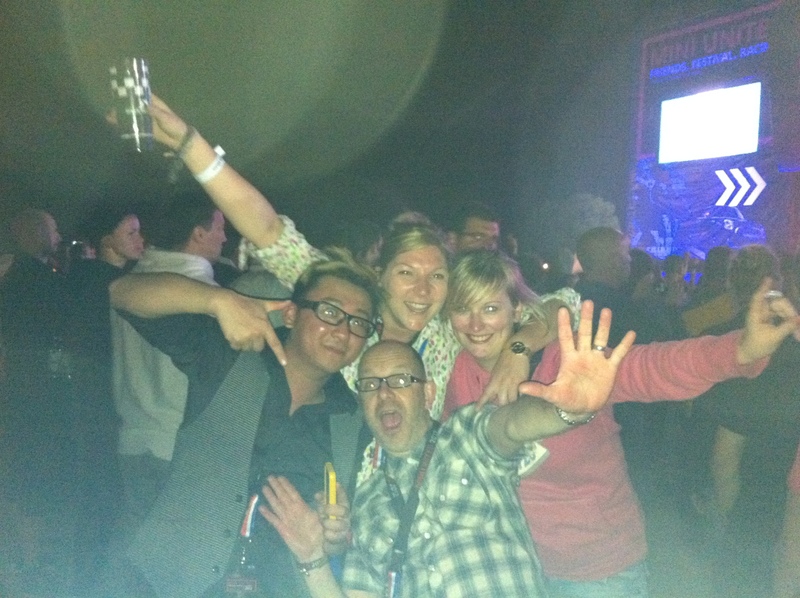 Still buzzing after the concert, we all drove down the hills blaring some TUNEEEESSS. This was all done within 30 seconds if that with no attitude or anything. I have to add it was actually a nice experience to be fair. Hats off to the French Police they were very good, i wish UK Police were more like them. Even when I was told i could drive off he was still looking at the machine like it was broken. With the 1st Day of MINI UNITED over I still couldn’t believe that I had drive 1,200 miles across another country I have never been before with people I have never met in my life and i was having the time of my life. I never of thought i could ever go to Monaco let alone drive around the circuit and meet all these MINI Owners from across the Globe and stay in a beautiful Villa. I stayed up that night for a while looking outside my window thinking if I never had a MINI I would have never done any of this. My Youtube Channel in its Final stages….